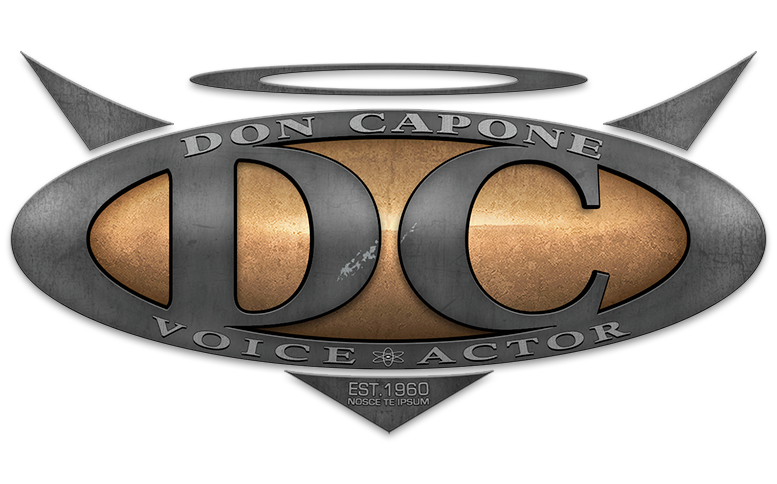 Voice Over Talent Don Capone Voice Actor and Voice-Over Talent. If your looking for a voice over talent for your audio production... you have come to the right place. We are a professional voice over talent and have been in the business over 27 years. Our voice over studios offer the best voice over equipment that will deliver clear audio for your production. We can even help if your looking for female voice over talent. If your looking for voice over talent rates, it all depends on the length of the voiceover script, the market, whether its a dry read or fully produced commercial with music and effects... all this plays a part of the final cost... and of course we always try to work with your budget. We are a seasoned voice actor who offers voice overs for Radio, TV and Film. From movie trailer voice overs, radio imaging, documentary narrator to commercial voice-overs. We work with top voice over talent agencies and with thousands of voice over jobs under our belt...We've done it all! We provide your finished voice over in .mp3, .wav or .aif and can be delivered by email, FTP or a direct downloadable link to your file. Live voice over talent sessions are available at extra cost through preferred Source Connect or an ISDN bridge connection can be made available. A phone patch for directing and listening is available for an extra premium. Looking for us to do voice over auditions? Well... You should be able to tell if I'm right for your project by listening to our voice over talent sample reels. BUT hey... if your still not sure... I'll kick one back to ya. 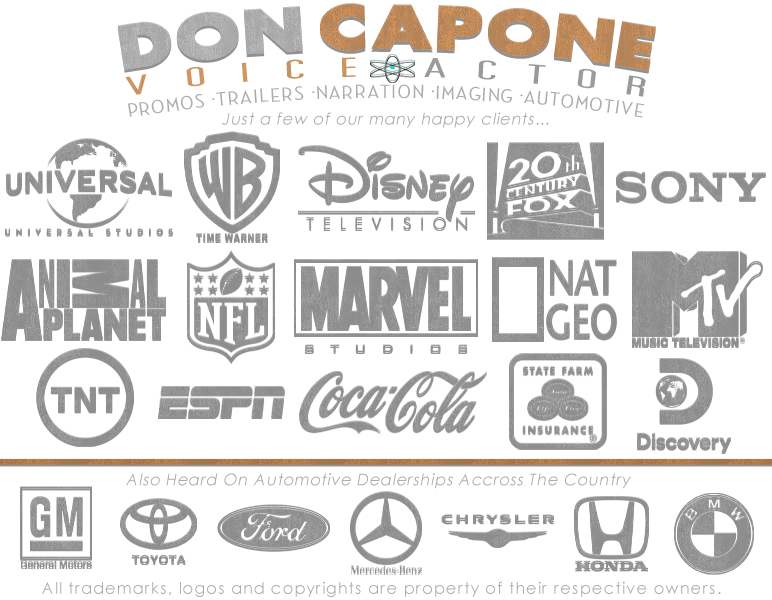 Professional Voice Over Talent from Don Capone.